James Loewen documents the rise of 'sundown towns' and their enduring legacy. I wasn’t surprised when my wife recounted the conversation. Living in downtown Atlanta, I considered the isolated communities on Sand Mountain a world apart: Deliverance country, the land of hillbillies, snake-handlers, and inbred family trees. But in his richly documented account of the hidden history of America’s sundown towns, James Loewen shows that Sand Mountain was one of as many as 3,000 communities where whites expelled African Americans between 1890 and 1930. The only thing unusual about the history of Sand Mountain is its location: The overwhelming majority of sundown towns were in the North. Although census numbers document the dispersion of black Americans into the North through the 1880s and their subsequent disappearance from hundreds of small communities over the next half-century, I reacted skeptically as I began reading Sundown Towns . It’s not that I was surprised by his account of widespread racism in the North. Leon Litwack’s 1961 book, North of Slavery , punctured the myth that most antebellum white Northerners were either abolitionists or open to the possibility of full civil rights for African Americans. My own research and writing has focused upon critical episodes of white-on-black oppression in the era of reconstruction and the age of segregation. But like most historians, I had always attributed black migration patterns to economic forces that drew black Americans first north and then to urban areas that offered jobs in America’s expanding industrial economy. I recalled encountering scattered references to “sundown towns” in state and regional histories and in reminiscences and oral histories, but their existence seemed an aberration. Could racial cleansing on such a scale have taken place and then been forgotten? James Loewen certainly makes that case with remarkable tenacity and a mountain of statistical and documentary evidence. By training Loewen is a sociologist (he is also a Unitarian Universalist), but he deftly addresses racial tensions in the changing historical context of the Civil War and post–Civil War years. Initially, and with great hesitancy, northern whites supported political rights for the emancipated slaves. But the majority of white Southerners never accepted the new order. Combining violence and economic coercion, these self-styled “redeemers” overthrew the biracial Reconstruction governments and went on to create a new post-slavery racial hierarchy founded upon the disenfranchisement of black men, legal segregation in all aspects of public and civic life, and a fierce insistence upon white supremacy in every private interaction between black and white. Still, few whites in the region had any desire to “expel” blacks. Who would serve as house servants for the well-to-do, till the land, and perform the disagreeable tasks that had long been associated with black labor? Besides, such a massive expulsion was impossible: Blacks made up nearly 40 percent of the region’s population. The northern context was quite different. After the Civil War, tens of thousands of African Americans left the South, often creating small black communities in small towns and rural settlements in the Midwest and on the border of the South. By the 1880s, white support for black rights faded even as new and more virulent forms of racism emerged across the nation. This new racism was directed against a broad range of “lesser breeds,” including the new immigrants from Southern and Eastern Europe (particularly Jews). But African Americans remained the main victims. In the view of northern whites, freedmen and freedwomen were transformed from the hapless and innocent victims of slavery to a “lazy and dangerous rabble,” innately inferior and a threat to racial purity. While the Supreme Court’s 1896 decision in Plessy v. Ferguson may have legalized segregation in the South, it also gave the court’s symbolic seal of approval to a new national racist ideology. In many northern communities, particularly in the Midwest, racial expulsion became the “solution” to the problem of race. At times, Loewen notes, communities drove out their black residents over a period of months or years by creating an atmosphere of unrelenting hostility, usually accompanied by sporadic threats of violence and brutal police harassment. Often, however, some precipitating event—usually the accusation that a black person had assaulted a white man or raped a white woman—sent the white community into a frenzy. Mobs lynched the accused and then systematically drove all African Americans from their homes, often with only the clothes on their back. A handful of expulsions have gained public notice in recent years. The 1997 Hollywood film Rosewood told in fictional form the story of the 1923 massacre and expulsion of blacks from Rosewood, Florida. After seventy-five years of silence, the citizens of Oklahoma staged a series of events acknowledging the 1921 Tulsa race riot in which white mobs systematically torched that city’s black district and killed as many as 300 African Americans, destroying thirty-five square blocks and forcing thousands of men, women, and children into barbed-wire holding pens for eight days before a national outcry forced their release. Loewen identifies as many as fifty such violent episodes leading to the expulsion of blacks from small towns and communities in the North. Today, most of these purges are forgotten except in the occasional garbled recollections of locals who describe them as regrettable but necessary responses to black provocation. And as he notes, whites made similar efforts to purge blacks from larger towns and cities during the first three decades of the twentieth century, among them: Akron, Youngstown, and Springfield, Ohio; Evansville, Indiana; Joplin, Missouri; Springfield and East St. Louis, Illinois; Johnstown, Pennsylvania; and Omaha and Lincoln, Nebraska. Only the scale of the undertaking prevented mobs from creating sundown cities. But one of Loewen’s most significant achievements is to link these physically violent forms of racism with legal and social stratagems white Americans have found to isolate themselves from people of color, indeed from people “different” in any way. Initially municipalities enacted ordinances specifically designating some residential areas as “white only,” but in 1917 the Supreme Court held in Buchanan v. Warley that such ordinances were unconstitutional—not because they discriminated against African-Americans, but because they violated property owners’ rights to sell their homes to the highest bidder. While Buchanan v. Warley barred such forms of state-mandated apartheid, it did nothing to limit residential segregation in the growing suburbs of twentieth-century America. Suburbanization stemmed from many forces, as Loewen demonstrates, but it was almost always interwoven with the struggle to create racially and culturally homogenous communities that might aptly be called “sundown suburbs.” While Catholics, Jews, and Asians suffered discrimination, black Americans were the main victims as realtors, developers, politicians, lawyers, and white suburbanites developed a staggering number of ways to maintain racial “purity.” Writes Loewen, “Every planned town that I know of—indeed, every community in America founded after 1890 and before 1960 by a single developer or owner—kept out African Americans from its beginnings.” Segregation became a strong selling point as developers and realtors proudly advertised their new properties as open only to “members of the Caucasian race.” The Levitt brothers, who built the famous “Levittowns” in New York, New Jersey, and Pennsylvania, officially refused to sell to black buyers for two decades after World War II. Unfortunately, the federal government played a powerful role in reinforcing residential segregation. The Federal Housing Administration, established during the Depression to help Americans buy homes, made its position clear in 1938: “If a neighborhood is to retain stability, it is necessary that its properties shall continue to be occupied by the same social and racial classes.” FHA officials encouraged banks to “red-line” districts, barring black applicants from obtaining loans for housing purchases in a practice that was enthusiastically endorsed by white realtors. After World War II, 98 percent of FHA and GI loans went to white buyers in all-white neighborhoods. But restrictive covenants were the keystone to establishing this new suburban apartheid. A recent study in Seattle, Washington, has identified more than 100 neighborhoods and new developments built between 1920 and 1948 that specifically barred blacks through the use of such legally binding documents. Similar documents were ubiquitous in communities across the nation. Despite their public impact, the federal courts upheld their validity as “private agreements” until 1948. Only with the passage of the Fair Housing Act of 1968 did federal officials begin to challenge the discriminatory practices that pervaded the U.S. housing market. That same year, my wife and I purchased our first home in University Park, Maryland. As we were signing papers, we were handed a deed with an attached restrictive covenant that included a provision limiting residence to “Christian Caucasians.” The settlement attorneys and realtors were astonished when we refused to sign. One attorney said dismissively that the provision wasn’t “legally enforceable”—as though its continued existence was not a tacit endorsement of the community’s all-white status. As recently as 1999, an investigation in twelve cities by the United States Department of Housing and Urban Development showed continuing evidence of racial “steering” by realtors. There is no doubt that the overt discriminatory practices of an earlier era have declined significantly, so much so that most white Americans reject the notion that racial discrimination lies at the heart of the hyper-segregation of today’s suburbs. Housing patterns are increasingly seen as a natural consequence of economics (“They can’t afford to move into many of these suburbs”), a deliberate choice by minorities (“Blacks want to live with fellow blacks”), or a reflection of the inadequacies of minorities themselves. It is true that, as a whole, inner city blacks are poorer than suburban whites. But, as one Detroit housing survey showed, middle-class African Americans hesitated to move to Detroit’s overwhelmingly white suburbs not because they couldn’t afford such housing or because they wanted to live in all-black neighborhoods: With good reason they believed they would encounter racial prejudice and hostility. The story James Loewen tells continues to matter. Even when they remain overwhelmingly white due to custom rather than overt racism, sundown towns and sundown suburbs alike reinforce whites’ prejudices and their sense of racial entitlement. For African-Americans, racial isolation has measurable social and economic costs even as it reinforces a sense of bitterness and betrayal. And yet we are often silent. For fifteen years I have lived in Transylvania County in the heart of North Carolina’s Blue Ridge Mountains. For more than a century, my hometown of Brevard and the surrounding countryside have had a sizeable African American minority. Even today African Americans make up 12 percent of Brevard’s 7,000 residents. And yet everyone I’ve met from Rosman seems kind-hearted, community-minded, and personally committed to helping their neighbors; as the phrase goes, the salt of the earth. Besides, I say to myself, I’m an outsider. And so I have remained silent. My hometown, on the other hand, has a much rosier self-image of its racial past. The mayor pro-tem is African American and Brevard prides itself on having been the first community in North Carolina to desegregate its schools. And yet, when black men and women who were a part of that process speak candidly, their stories are filled with memories of isolation and painful encounters with hostile whites. Even today, the two communities exist, for the most part, as separate worlds. Of course, none of us is very comfortable talking about such unpleasant aspects of our past, in Rosman, in Brevard, or anywhere. Far better to remember a past that never was. In Where These Memories Grow , thirteen historians of the American South described the ways whites in the region created a mythological past in which white-on-black violence disappeared (or was justified) and benevolent whites struggled to help the troublesome blacks who surrounded them. As I read Loewen’s book, however, it seemed to me that white Northerners chose a different path: amnesia. It is, I suppose, the natural response of most cultures when confronted with a painful past. “Every nation,” wrote the nineteenth-century French philosopher Ernest Renan, “is a community both of shared memory and of shared forgetting,” what British statesman William Gladstone called “a blessed act of oblivion” that allows old adversaries to put aside past grievances and live together in peace. But we are not living together in peace. We are living separately, in suspicion and distrust. Everywhere we look, we see the long shadow of our racist past in the re-segregation of our public schools and the growing isolation of the poorest African Americans in impoverished inner cities, in the continuing wealth and income gap between black and white, and in the unconscionable explosion of a “prison-industrial complex” that incarcerates millions of black men, consigning them to a lifetime in the shadows of our society. None of us should feel personal responsibility for what our parents or grandparents did or did not do. But there will be guilt enough for our own generation if we do not confront and address the bitter consequences of the story that James Loewen has revealed so powerfully in Sundown Towns . 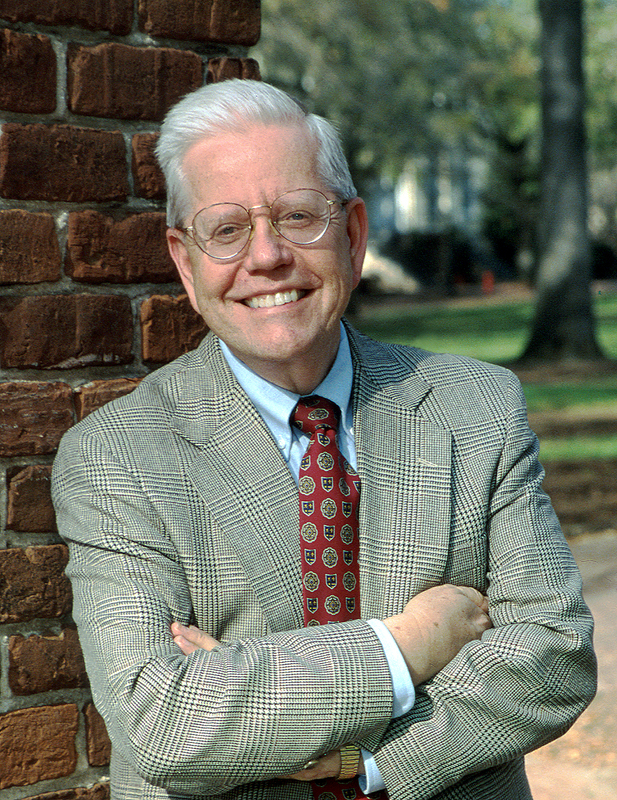 Historian Dan T. Carter retired after forty years of teaching at Emory University, the University of Maryland, and the University of South Carolina. He is the author of a half dozen books including Scottsboro: A Tragedy of the American South (winner of the Bancroft Prize in American History) and The Politics of Rage , a study of George Wallace and his impact on American politics (winner of the Robert F. Kennedy Book Prize). He a member of the Unitarian Universalists of Transylvania County, North Carolina.